The two-seater Bleriot monoplane "Big Bat," fitted with a 50-h.p. Gnome, which was flown at Brooklands by Graham Gilmour in 1910. BOURNEMOUTH-1910: Some of the "Slight 'Planes." 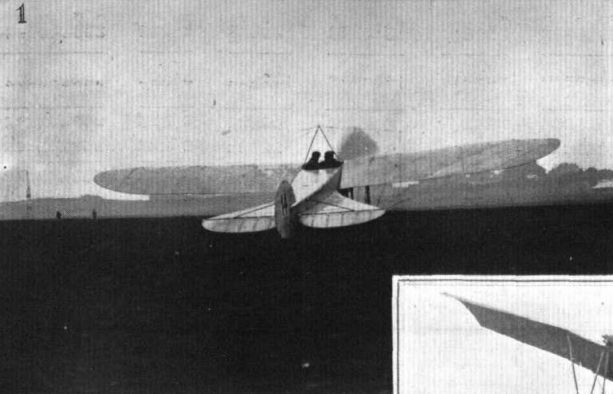 (1) Morane starting a passenger flight on the Bleriot monoplane.